In Spring 2016, we developed a video campaign for Fetzer designed to appeal to the growing audience of wine-drinking Millennials and younger Gen X members. Our goal was to create an emotional connection using media platforms that have cultural significance with our audience and that would allow for more engaging brand storytelling. 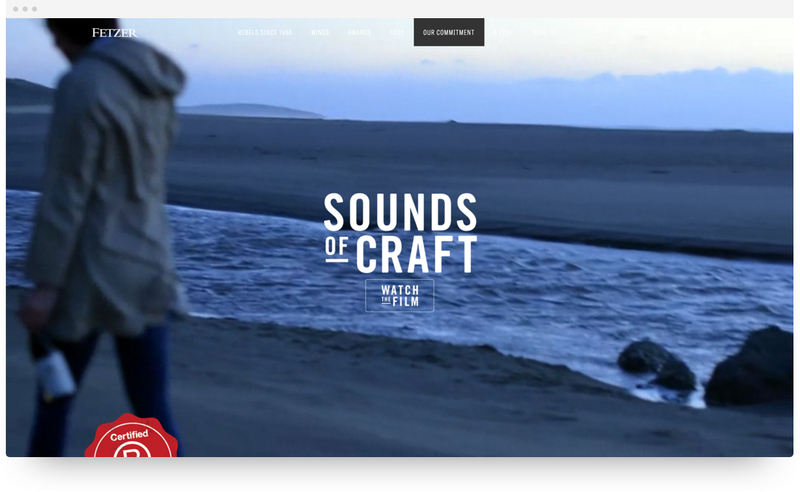 To tell our brand story we tapped into three out of five senses: sight, sound, taste. It was a creative approach to a unique problem. How do we make digital experiences feel real? Much like the wines we were creating stories around, we created a full profile of the brand and product that users could engage with and relate to. 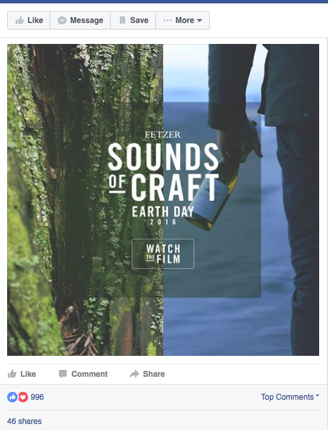 Our video concept relied on sound design leveraging Instagram and Facebook's "tap for sound" audio cue as a way to differentiate our content and encourage deeper engagement with full video views. Our series of 30-second video vignettes layered musical compositions of field recordings matched with visual moments from winemakers, tastemakers, and Net Positive authorities, to emphasize the relationship between wine and the land it comes from. These vignettes were parlayed into a national digital advertising campaign. When combined with our social media exposure these videos garnered over 2.5 million impressions, 988K video views, a combined $0.02 Cost Per Video View (nearly 10x lower than average), and 227K social actions. Cheers!